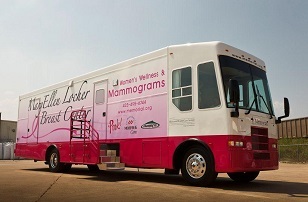 CHI Memorial’s mobile health coach will provide mammography screenings at Dunlap Senior Center, 103 Heard St., on Wednesday, Feb. 20 from 9 a.m.-4 p.m. CST. This event is sponsored by Sequachee Valley Electric Company. To schedule a screening, call 423-495-4040 or 866-591-2254. Walk-ons welcome.